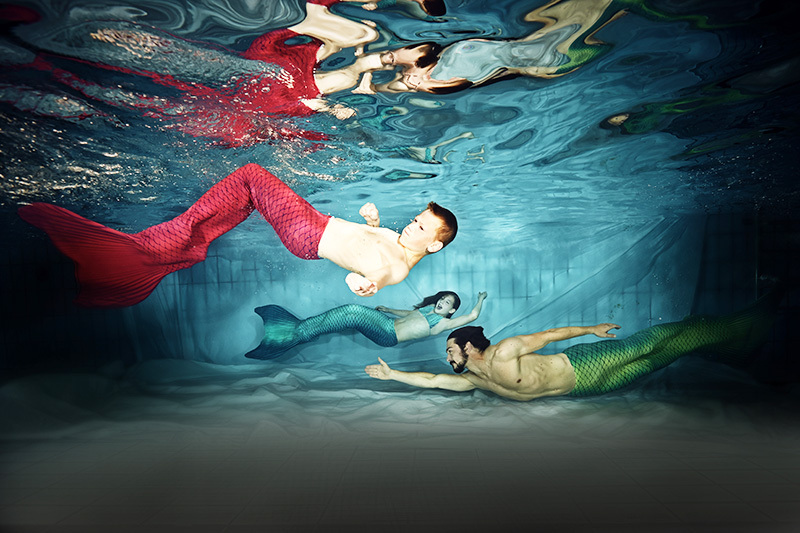 As a mermaid or merman you are constantly looking for new places for mermaiding. Since being a mermaid is my job I travel a lot for my work. I have been to some amazing places for mermaiding and there are definitely still a lot of places on my mermaid bucket list. I haven’t been to all these 10 places in my list personally, but to most of them. I’ll tell you my personal opinions about the places I visited to for mermaiding. I’ll also tell you what I expect from the places I haven’t been to yet. Hawaii is definitely one of the most beautiful places for mermaiding in the world. I visited Hawaii in 2011 before I became a mermaid. It had the most beautiful landscapes and beaches that you can imagine. Crystal clear water and the chance to swim with turtles, dolphins and other sea creatures make Hawaii a famous place for mermaiding. Some mermaids are based in Hawaii like my friend Mermaid Kariel. All Hawaiian mermaids and merman post beautiful photos regularly. I know that one day I’ll go back to Hawaii as a mermaid. I’m looking forward to meeting all my Hawaiian merfriends and to swim in the clear water. In July 2014 I went to the Vilamendhoo Resort in the Maldives. Underwater photographer Harald Slauschek and I stayed there for two week during our mermaid photo shoots. The island is surrounded by white sand and baby black tip sharks were swimming in knee deep waters. We went out with the Eurodiver’s boat for some deep underwater shoots. Swimming with whale sharks and manta rays was amazing and is also suitable for mermaids without any scuba training. For professional mermaids with underwater stunt training the Kudhimaa Wreck is another great shooting location. The Maldives count to my personal top 10 places for mermaiding. Indonesia has some wonderful beaches and shooting locations on land. The black sand can be found at islands like Bali and is very special. Mermaiding at the Liberty Wreck is a lot of fun and suitable for freediving mermaids and mermen. Komodo is a little island not far from Bali. Around Komodo you have crystal clear water and beautiful coral reefs. The chance to swim with manta rays is high. But strong currents mean you really need to be an advanced mermaid or merman. Indonesia also counts into my personal top 10 places for mermaiding. Australia is a country with so many different landscapes and climates. Every coast has something different to offer. That’s why Australia counts to one of my favorite places for mermaiding. I live in Perth at the moment where I love spending time on the beautiful beaches. But in the near future I’ll be mermaiding in the clear waters of South Australia. I’m really looking forward to playing with some sea lions. The Great Barrier Reef is also a great mermaid place. The Bahamas are a paradise for mermaids and mermen. Blue waters and white beaches offer amazing shooting locations for new mermaids and mermen. But there is more. For highly trained mermaids who have guts, swimming with different kinds of sharks might be possible. I went to the Bahamas in February 2015 together with underwater photographer Michael Aw. For the international anti shark finning campaign “Facing Grace” he photographed me with hammerhead and tiger sharks. It was absolutely amazing and life changing. But please note that shoots like this must be organized and authorized. Please note that you and your team must be absolute water professionals to swim with sea creatures like sharks. I started my mermaid career in Thailand while I lived in Phuket and worked as a scuba instructor. Thailand has nice locations for mermaiding to offer. Beaches and rocky cliffs give you the chance to create amazing mermaid images. Unfortunately a lot of corals around Phuket have been damaged and many spots were overfished while I lived there. That’s why it was hard to create beautiful underwater photos, but we made it happen. Underwater photographer Adriano Trapani and I went out to the Similan Islands and created some underwater mermaid photos. It’s much fun to swim and train your mermaiding skills in the warm waters of the Andaman Sea. Egypt is one my favorite places for mermaiding. The clear water of the Red Sea gives you the impression to be in an aquarium. Shipwrecks and colorful corals provide the perfect playground for mermaids and mermen. I worked in Egypt as a mermaid and scuba instructor for a few months. My highlight was mermaiding with wild dolphins. Dolphins are so playful and to me they are like underwater horses. If you understand the body language of a horse you shouldn’t have trouble to communicate with dolphins. I went to Cebu in 2013 for a big mermaid project. First I supported the big beach cleanup “Cleaning day with Mermaids and Divers” at Dive Point Alcoy. After that I taught mermaid classes and went for a swim with sardines and whale sharks. Underwater photographer Marten von Rauschenberg captures some beautiful images of me and my students underwater. The sardine run at Moalboal was fascinating and mermaiding with whale sharks just amazing. I was lucky to meet the Philippines Mermaid Odessa in Singapore in 2015. 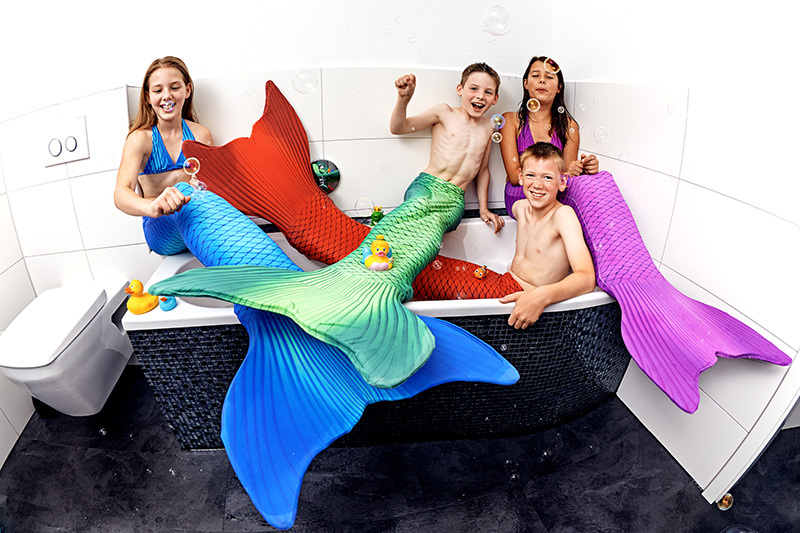 Odessa runs her own mermaid school and is the owner of a beautiful silicone tail from Mermaid Kat Shop. Mexico is also on my bucket list for places to visit. The Mermaid Portfolio Workshop has captures some stunning images of mermaids in Mexico. 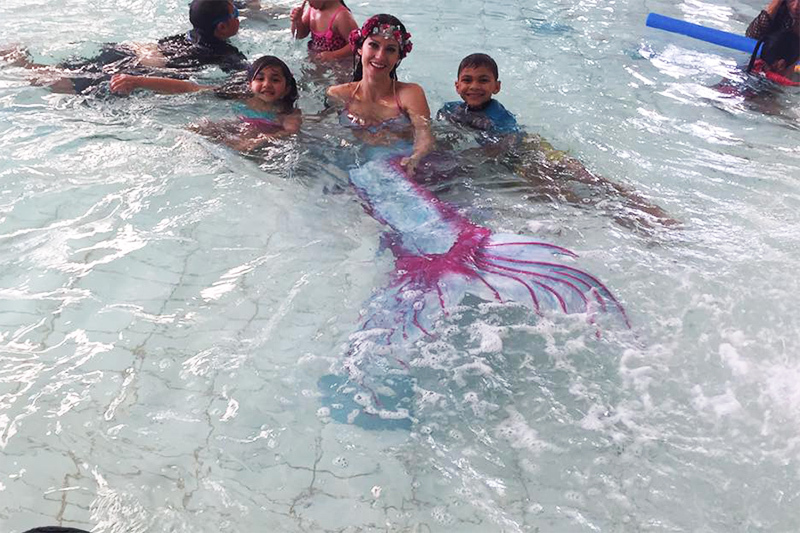 Mermaid Melena, Mermaid Hyli and the Atlantis Mermaid were just a few of many mermaids who created beautiful mermaid work in Mexico. I’m looking forward to traveling there and finding out if Mexico counts into my favorite places for mermaiding. If you’re looking for places for mermaiding I hope my Top 1o List is helpful for you. Feel free to send me an email with other suggestions for great places for mermaiding.